I am a researcher in Cognitive Neuroscience. My main research interest is to investigate the interplay between high- and low-level cognitive functions and their neural implementation. I am also the main developer of Expyriment, a Python library for designing and conducting timing-critical bahavioural and neuroimaging experiments. Currently, I am working as a postdoctoral researcher for Rainer Goebel at Brain Innovation B.V. and Maastricht University in Maastricht, The Netherlands. As part of the European BRAINTRAIN project, I am investigating how the self-regulation of brain networks by (combined) Electroencephalography (EEG) and functional Magnetic Resonance Imaging (fMRI) neurofeedback can be methodologically further advanced and utilised as a therapeutic measure for mental disorders. Formerly, I did my PhD at the Donders Institute for Brain, Cognition and Behaviour for the Radboud University in Nijmegen, The Netherlands, as part of the Action and Neurocognition group of Harold Bekkering as well as the Intention and Action group of Ivan Toni, and in collaboration with Oliver Lindemann from the Potsdam Embodied Cognition Group. During this time I got concerned with the question of how former sensorimotor experiences shape our cognition and how differences in these experiences can lead to individual traits in cognitive functions. For instance, my research in the fields of embodied cognition and numerical cognition focuses on the neurocognitive representation of numerical magnitude and the question of whether numerical concepts are "grounded" in former sensorimotor experiences with size in everyday life. I address these issues by investigating human adults and children, using an integrated empirical approach which combines a variety of behavioural measures (e.g. reaction time, kinematics) as well as neuroimaging techniques (e.g. 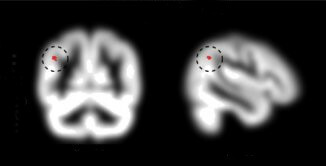 functional Magnetic Ressonance Imaging, Voxel-Based Morphometry). Krause, F., Meyer, M., Bekkering, H., Hunnius, S. & Lindemann, O. (submitted). A shared representation of perceptual and motor magnitudes in early childhood. Krause, F., Benjamins, C., Lührs, M., Eck, J., Noirhomme, Q., Rosenke, M., Brunheim, S., Sorger, B. & Goebel, R. (2017). Neurofeedback at display: Real-time fMRI-based self-regulation of brain activation across different visual feedback presentations. Brain-Computer Interfaces. Krause, F., Bekkering, H., Pratt, J. & Lindemann, O. (2016). Interaction between numbers and size during visual search. Psychological Research. Krause, F., Lindemann, O., Toni, I. & Bekkering, H. (2014). Different Brains Process Numbers Differently: Structural Bases of Individual Differences in Spatial and Nonspatial Number Representations. Journal of Cognitive Neuroscience, 26(4), 768-776. Krause, F. & Lindemann, O. (2014). Expyriment: A Python library for cognitive and neuroscientific experiments. Behavior Research Methods, 46(2), 416-428. Krause, F., Bekkering, H. & Lindemann, O. (2013). A feeling for numbers: shared metric for symbolic and tactile numerosities. Frontiers in Psychology 4:7. Lindemann, O. & Krause, F. (2012). Zählen mit den Fingern: Verkörperung oder Veranschaulichung? Lernen und Lernstörungen, (1), 60-62. Krause, F. (2014). Numbers and magnitude in the brain: A sensorimotor grounding of numerical cognition. Doctoral Thesis, Donders Series 167, ISBN: 978-94-6284-005-8. Krause, F. (2017). Maak getalgrootte voelbaar. Jeugd in School en Wereld. Krause, F., Benjamins, C., Lührs, M., Eck, J., Noirhomme, Q., Rosenke, M., Brunheim, S., Sorger, B. & Goebel, R. (2016). Real-time self-regulation across multiple visual neurofeedback presentations. Proceedings of the 6th International Brain-Computer Interface Meeting, 132. For full information on my education, research experience and conference contributions, please download my CV. My researcher ID is C-2745-2013. My ORCID ID is 0000-0002-2754-3692. Great, get in touch with me! © 2014, Florian Krause. Design by HTML5 UP.